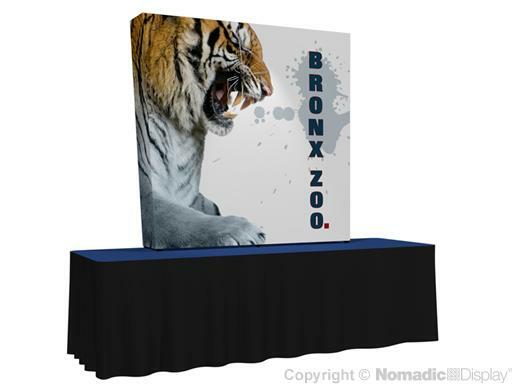 FabriMural table top displays combine our legendary Instand® pop-up display system with the convenience of a single, large format fabric graphic panel. Fabric graphic panels are delivered pre-installed on FabriMural, so all you have to do is pop it open and you’re ready to Show and Sell. Your FabriMural table top pop up display frame is also backed by the industry’s best “No Questions Asked” Lifetime Warranty, so you get the highest return on your display investment.